A national culture, sports and tourism festival has been opened in the northern province of Ninh Binh. The opening ceremony held in Ninh Binh City on the evening of October 28 saw the participation of Deputy Prime Minister Nguyen Duc Dam. 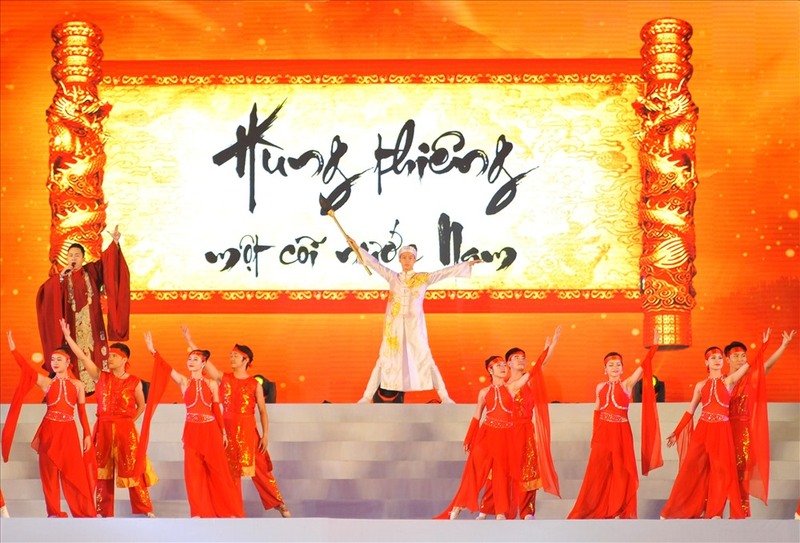 Speaking at the event, Minister of Culture, Sports and Tourism Nguyen Ngoc Thien said that the festival was among activities to mark 1,050 years since the foundation of Dai Co Viet, the first centralised feudal state of Vietnam. It is also aimed to popularise the cultural, sports and tourism potential of the province and improve authorities and the public’s awareness of the need to develop a Vietnamese culture imbued with national identity. Many activities, including exhibitions of environmental protection-themed posters, photos and paintings on heritage lands and Ninh Binh’s landscapes and people, and old documents and antiquities will be also organised at the festival. At the opening ceremony, Deputy PM Dam granted the prime minister’s decision to recognise a royal bed, inside the temple worshipping King Dinh Tien Hoang, as a national treasure to the authorities of Ninh Binh Province. The antique, dating from the 17th century, is being preserved at the Hoa Lu Ancient Capital historical site in Ninh Binh.